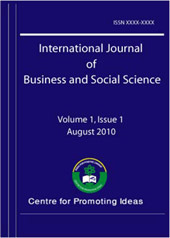 This purpose of this study is to determine level of employees’ job satisfaction and to investigate effect of gender on employees’ job satisfaction. Important factors that have an impact on job satisfaction are supervision, relationship with co-workers, present pay, nature of work, and opportunities for promotion. Data for this study was collected from employees of three private airline companies in Iran. Descriptive analysis performed to determine level of employees’ job satisfaction. In addition, independent-sample t-test was utilized to empirically test relationship between employees’ job satisfaction and their gender. Findings suggest that employees are moderately satisfied with their job and there is no significant difference between male and female employees’ job satisfaction.